T-Minus one week until San Diego Comic Con! This will be my 7th or 8th visit to the Gas Lamp in lovely San Diego and I am just as excited as the young man who attend his first without a clue of what to expect. The news hasn't disappointed this year with another crop of amazing exclusives, a stellar line up, the return of Conan, and an impressive schedule of panels. While I never follow my schedule exactly as you have to remain flexible at SDCC, here is my tentative plan for what will be another wonderful trip with 130,000 fellow nerds. This year with Pokemon Go! 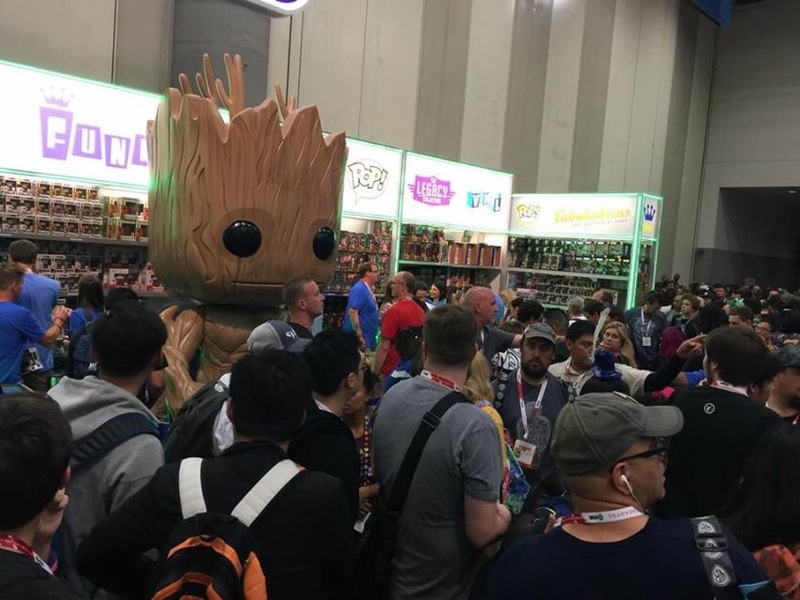 Preview Night: I am going to attempt to quickly make a dash to the Funko booth as snag some exclusive Pops as I was fortunate enough to score a wristband in an online lottery. 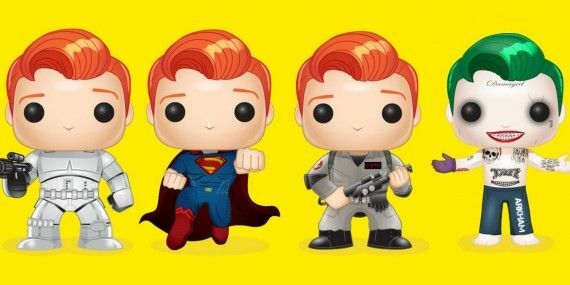 I am still expecting it to be busy and not counting on getting everything I want, but it is good to know that I will set foot in the Funko booth this year. After Funko: My brother and I will be attending our 4th Hop Con presented by the Stone Brewery and are sure for a delightful evening of good beer, good food, good company, and quality entertainment. This event has always felt laid back compared to the rest of the convention and it is always a nice way to get things going. 12:00pm - I may actually get to sleep in one day in San Diego as I am getting things started attending the Geek and Sundry Panel in the Indigo Ballroom. It is always a good time to hear from Wil Wheaton, Felicia Day, and others as they discuss another fun year of programming and hopefully more tabletop related shows. 1:00pm - If I make it into the Indigo Ballroom for Geek and Sundry, I will hang out for the next panel as Chris Hardwick may be the best panel host in the history of the Universe! The Nerdist panel is always a fun one that should have a lot of laughs as we learn what is in store for the rest of 2016. 3:00pm - At this point I will venture over to the Spreckel's Theater to get in line for my second taping of Conan! Weird Al is the guest and I can't wait to revisit what was one of the biggest highlights last year. 10:00am - After another shocking death this week from this event that seems to have huge implications, I cannot wait to learn more about the latest Marvel event. The Civil War II panel will be in room 6DE this year and I look forward to insights from creator Brian Michael Bendis. 11:45am - My son has recently got into the Teenage Mutant Ninja Turtles cartoon on Nickelodeon and I hope to do him a solid and make it to the TMNT - Return to New York panel in room 6A. From what I have seen of the series it is a lot of fun and they have even had a Big Trouble in Little China episode and one featuring Napoleon Dynamite! Looking forward to getting the scoop for my son. 3:00pm - Friday is the day of more comics as I will try to get my Cullen Bunn quota in as I check out the Dark Horse Originals panel in Room 7A. Bunn is always entertaining to hear and Dark Horse has a lot of exciting things in the works that I look forward to learning more about. 4:00pm - While I still miss Locke and Key, I will at least get to see Gabriel Rodriguez at the IDW - The Main Event panel in room 4. I may or may not ask him to make more Locke and Key adult coloring books. Not that I enjoy them or anything. 6:00pm - My good luck blessed me once again as I will be returning to my 3rd Funko Fundays. Tickets for this event sold out in seconds and my good karma allowed me to get pulled off the wait list. I look forward to an evening of fun, food, and Pops! 11:15am - I may sleep in a bit more on Saturday as the first panel I want to attend is the DC Rebirth: Batman panel in 6DE. While I haven't been fully sold on the new Batman run, I trust that it will remain on my pull list and that the new creators will do justice to the amazing run that Scott Snyder and Greg Capullo gave us. 1:00pm - This TMNT panel is all for me as I attend The Ultimate TMNT Panel: Shell Games with IDW Games in room 25ABC. If you haven't read the IDW run of the turtles you are doing yourself a disservice. I am currently re-reading this series and enjoying every moment of it. 2:00pm - It has been quite some time since I read me some Derf Backderf, but My Friend Dahmer remains one of the best comics I have ever read in my life. His autobiographical books have been truly stunning and it would be a pleasure to hear the man speak for an hour. 4:15pm - My next panel brings me to room 6DE as I see what is happening with Robert Kirkman's Skybound Entertainment. It has been a huge year for Outcast and another huge year for The Walking Dead and I look forward hearing plans for the future of this endeavor. 11:15am - Sunday is the day I try to score some Lego goods for my son. The Lego Dimensions panel is in Room 6DE and I look forward to learning more about this amazing game. I have enjoyed playing through levels that feature The Simpons, Dr. Who, Back to the Future, and Scooby Doo with my son. Should be a fun panel. 1:00pm - As my SDCC journey nears its end I will put forth the effort to once again bring back a Lego scoop for my son. The Ninjago: Masters of Spinjitzu panel is in Room 7AB and should wrap up another exhausting and wonderful con.